Although he is perhaps best placed to offer an opinion on the matter, legislators have no obligation to listen to European Data Protection Supervisor (EDPS) Giovanni Buttarelli, who released his own proposed draft of the law on Monday. A lot is at stake, said Buttarelli. "This reform will shape data processing for a generation which has no memory of living without the internet. The EU must therefore fully understand the implications of this act for individuals, and its sustainability in the face of technological development." Buttarelli has no legislative powers, but hopes to influence the negotiations between the European Parliament, the European Commission and representatives of European countries gathered in the Council of the EU. Those three legislative bodies are trying to reach a compromise agreement on the bloc's new data protection law before the end of the year. A new regulation must replace an outdated one from 1995, and is important to citizens and tech companies alike. EU legislators are trying to get the law ready for a digital age where use of the Internet, smartphones and cloud computing are common. Buttarelli gave his opinion in a 12-page document. But he also took a more modern approach, releasing an app for iOS and Android that allows legislators and citizens to compare the proposed texts of the upcoming data protection regulation side-by-side. It includes the proposals made by the three legislative bodies as well as his own. While the various texts proposed by legislators are on the right track, serious concerns remain, he said. For instance, he disagreed with a Council proposal to allow companies that process data to share that with a third party if there is a "legitimate interest" to do so. Since a company's legitimate interests include making a profit, perhaps through the sale of personal data, this gives insufficient protection for individuals, he said. The EU should also prevent direct access by third country authorities to data located in the EU, he said. People should be able to take data stored about them from one company to another, either by direct transfer or by receiving a copy of the data which they themselves can transfer elsewhere, he said. Buttarelli is in favor of hefty fines for companies that violate the upcoming law. In agreement with Parliament, he proposed fines of up to €100 million (US$110 million) or up to 5 percent of an enterprise's annual worldwide revenue, whichever is higher. 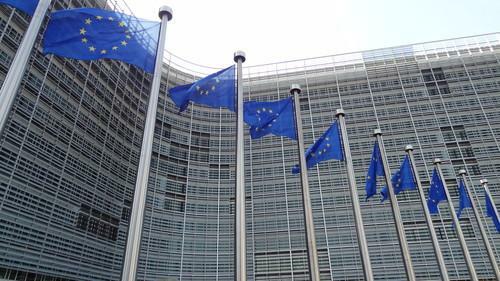 The Commission and the Council both favored limiting fines to €1 million or 2 percent of a company's global annual revenue. Fines for antitrust breaches, in comparison, can be up to 10 percent of worldwide revenue. He also looked at personal data breaches, which in his opinion should be reported to the relevant authority within 72 hours. That's in line with the Council's proposal, although it does give companies a get-out by saying the deadline should apply only "when feasible." The Commission wants a deadline of 24 hours, also only "when feasible," while Parliament proposed notifying the relevant authority "without undue delay" but without specifying a time frame.